A ledge type falls, about as wide as it is high in normal conditions. It falls into a deep pool with gravel bars all around. It's at the left part of a semi-circular rock ledge; on the right side of that ledge, next to an old mill, is Shoal Creek Falls. 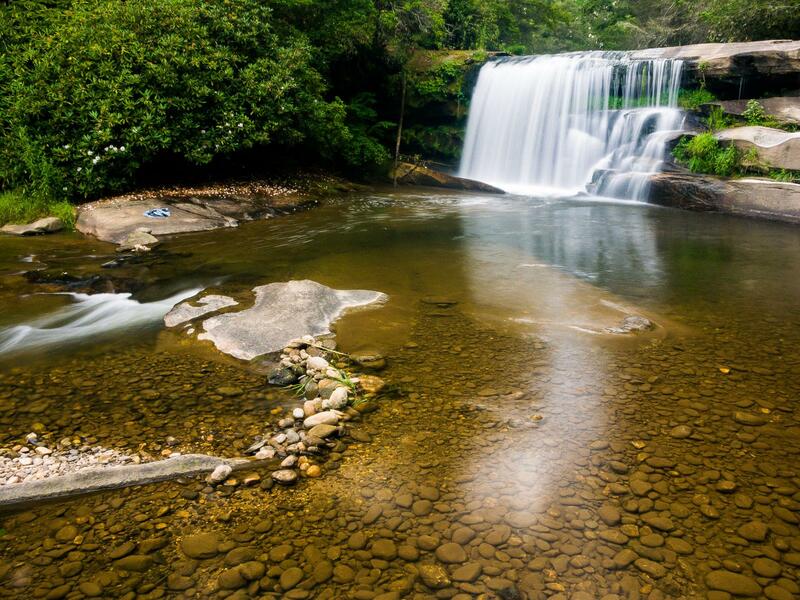 These twin falls make this a beautiful setting. Go down the steep path to the gentler path below, and turn right. You'll come out by the old mill and the falls after just a few feet. Keep in mind that this is private property and the owners graciously have allowed the public to visit. Show your utmost respect to this fact, and the land. Also, people have died here recently, so stay away from the top of the waterfalls.